LASD parent and activist, Bill James, expresses disappointment that the meeting agenda does not include discussion of how the City could help provide a 10th school site [Hillview]. Moderator is former mayor Jane Reed. 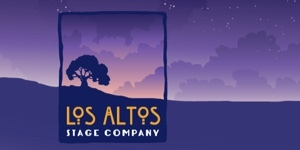 At both the morning and evening sessions of the City of Los Altos parent out-reach meetings, talk of 10th School Sites – including of course the “Hillview Parcel” – was removed from the agenda. This was because of the City’s concerns about adhering to the Brown Act. The City’s admitted “miscommunication” left parents frustrated, as School Sites was their “Number One” topic. Nevertheless, there was fruitful discussion of better ways to build “two-way dialogue” with parents: hold a City Council Study Session at a school after drop-off time and also in the evening for working parents. Also some good ideas about school traffic floated to the top: record and study data on “near misses,” not just injury accidents and tickets in order to identify dangerous locations; reopen the backside access to Blach and Egan. How to Use Sound Cloud on a PC or Mac: To skim forward or backward, use your mouse to click-drag over the top and bottom vertical bars highlighting them. Release the mouse button. The playhead will have been moved. On a mobile phone, it’s swipes. At 9am, March 3,2016 about 50 to 60 parents meet with two City Council persons, Mary Prochow and Jan Pepper, at Blach School. Parents said they were very disappointed to learn at the last minute that discussion of school sites like Hillview was off the agenda because of the City’s Brown Act concerns [transparency, anti-corruption law]. People attending were overwhelmingly parents from LASD, but also some parents from Cupertino Union and Bullis Charter. Pepper clarified that they were there to get suggestions on how Council could learn more about the opinions of the parent community. Parents criticized email as a communication method because there was usually no response back from Council. In a show of audience hands, many parents used next-door.com but not Facebook so much. They were not interested in methods that were just for dissemination, aka one-way push communication. The idea of City funded “neighborhoods as practiced in Mountain View drew some interest. Jan Pepper said the City would buy the ice-cream for your neighborhood social. Blach School – Meeting of City of Los Altos Outreach with about 50-60 school parents. Discussion of 10th sites like Hillview was off the table. Pepper also said they could talk about traffic concerns at this meeting. A parent suggested a mobile phone app that lets people post their traffic ‘near misses’ while biking or walking — on a map. She would change her route if she saw a problem location along it. One parent asked about the schedule for installing the 15 mph limit school signs. [Answer: Done this month by the City not LASD. City signs will also be at the Cupertino Montclaire School]. A Bullis Charter [at Blach] parent said she experiences very little traffic because BCS has highly staggered start and stop times. Another parent urged getting “strongly skilled, take charge” crossing guards.” One parent said parents were driving recklessly IN the drop off lot! Call the cops. But the parent frustration about not being able to talk about school sites like Hillview was palpable. One parent referred to the “elephant in the room.” Councilperson Mary Prochow pointed out that at a formal Council meeting, the public usually has 3 minutes, not 30 seconds, to make a point. Several parents asked, given the Brown Act, was it even possible to have two-way dialogue between 3 or more council members and an audience. Council member Jan Pepper said Yes, a Brown Act noticed Council Study Session could permit that kind of give and take. One parent suggested that at least some of the formal ad hoc Public Land Committee meetings be scheduled at a school like Blach right after morning drop off. That would allow many more parents to attend. One parent asked if the meeting that night at Almond School could be structured differently than the one that morning one, so that the School Sites topic including Hillview could be discussed. She seemed to be suggesting that Jan Pepper and Jeannie Bruins – who are the council members on the Public Lands Committee — conduct tonite’s Almond School “Public Engagement” meeting. Pepper said, no. The “Engagement Committee” consists of Pepper and Prochow. Tonite’s Almond meeting would be about traffic and methods of better outreach and better two-way communication with the parent communities. The evening Parent-City meeting content was roughly similar to the morning’s. Attendance was lighter: maybe 30 people, mostly parents. One upgrade: Council member Prochow read a message about the Brown Act which was crafted by the City Lawyer, Jolie Houston. Huttlinger Education Alliance principal, Noah Messel questioned the City attorney’s interpretation of the Brown Act. Prochow and Pepper responded they must follow the advice of the City lawyer. Later LASD trustee Sangeeth Peruri also questioned the City’s interpretation of the Brown Act. He said that during the joint City-School Public Lands Committee meetings, 3rd and 4th LASD trustees often sit in the meeting audience. At Almond School, Superintendent Jeff Baier behind LASD Trustee Vladamir Ivanovich, next to Huttlinger Alliance principal Noah Messel (provocative? victory sign), with Tamara Fagin, a founding member of LACC.org advocating for unified Los Altos “visioning. As in the morning session, the idea of a City Council Study Session was embraced as a good way to have two-way conversation with all 5 members of the Council and the parents. One public commenter urged that a study session be organized to occur quickly — aka in 6 weeks. 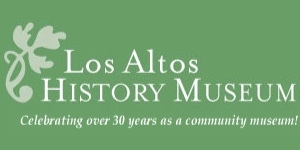 As in the morning session, the City of Los Altos councilpersons apologized for the miscommunication that did not make clear that School Sites including Hillview was not intended to be a topic of discussion at today’s City-Parent meetings. They promised to do better at communicating in the future. They suggested the joint City-District Public Lands Committee is a good place to make those comments. After the evening meeting at Almond School, many people stayed to chat…about what ? next steps for convincing the CIty to help with a 10th site like Hillview? Let’s do City Council Special Meetings at new Venues – Hillview? Lalahpolitco: I think City Council is on the hook to do 1 or 2 Study Session meetings on the subject of School Sites at a venue convenient for the PTA parent segment. And to do one or two Public Lands subcommittee meetings at a LASD school venue as well. As has been suggested by may others besides me, the City of Los Altos should ALSO have outreach to the residents of Los Altos who are NOT parents of children now in LASD schools. This is the majority of voters. This is not just seniors in their dotage. Perhaps hold a meeting at Montclaire School or at St. Nicholas School. Perhaps hold a meeting at the Hillview Community Center (lots of parents have probably never been there)? Or Grant Park? 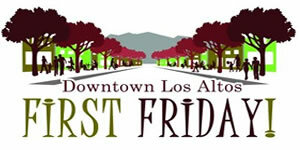 Below News of the City’s 2012 attempt to install a light at Miramonte and Covington. Los Altos City Council Minutes – May 22 – Safer Blach?